A 35-minute experimental piece only performed twice. Also contains "an audio taste test". Packaged in a "LazaruSears" ersatz shopping bag with receipt and mall pamphlets. Review: "This could easily turn out to be an ordeal, but with the expert use of tape loops, crank phone calls and synths, ECC pulls it off. 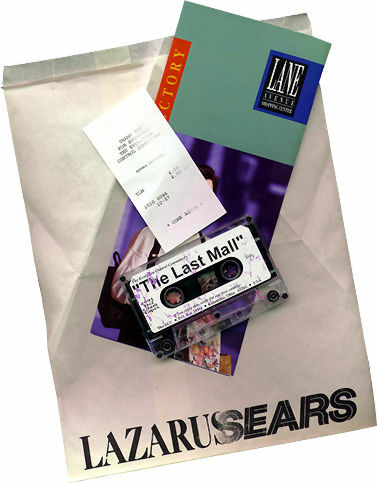 The tapes are packaged in a shopping bag from the hybrid store of Lazarusears and a receipt from the ECC gift shop."